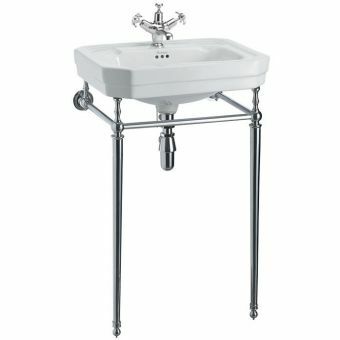 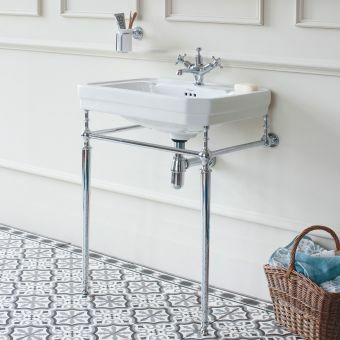 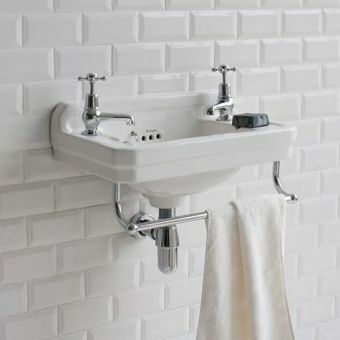 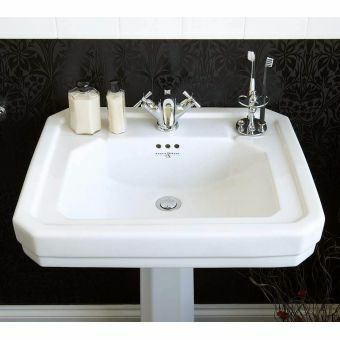 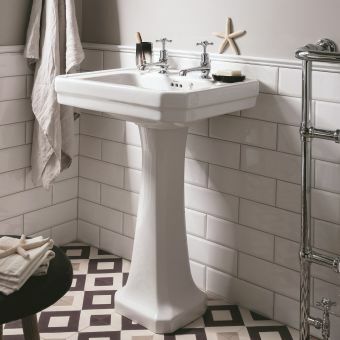 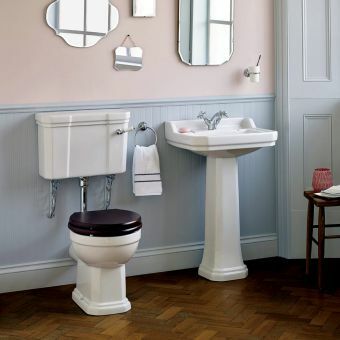 The Burlington Corner Basin is designed specifically for cloakrooms or small bathrooms. 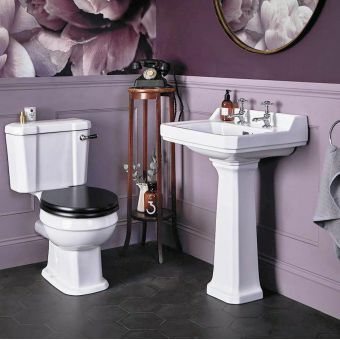 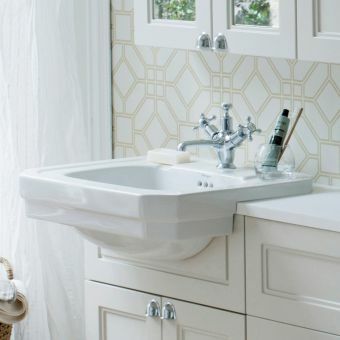 Made from vitreous china, the basin is durable, sturdy and resistant to staining. 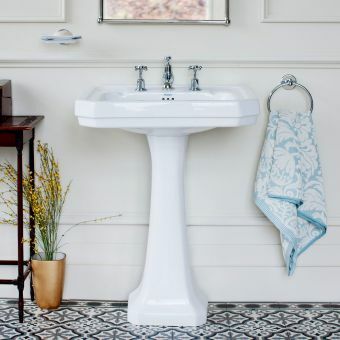 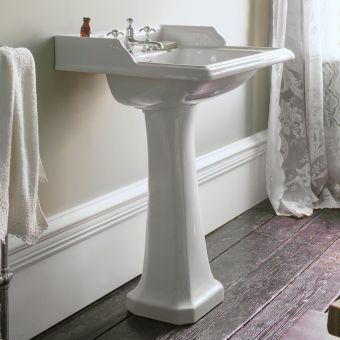 The Burlington Corner Basin combines beautiful traditional design with cutting edge manufacturing technology to bring you an all-round, great quality product. 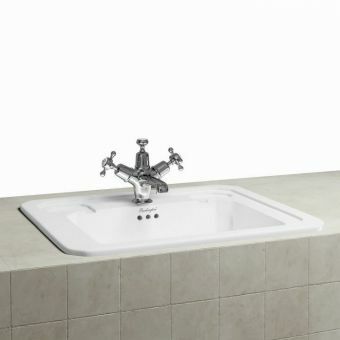 At only (w)430 x (d)430mm the compact size and angular shape of the basin allows you to maximise the space in the room. 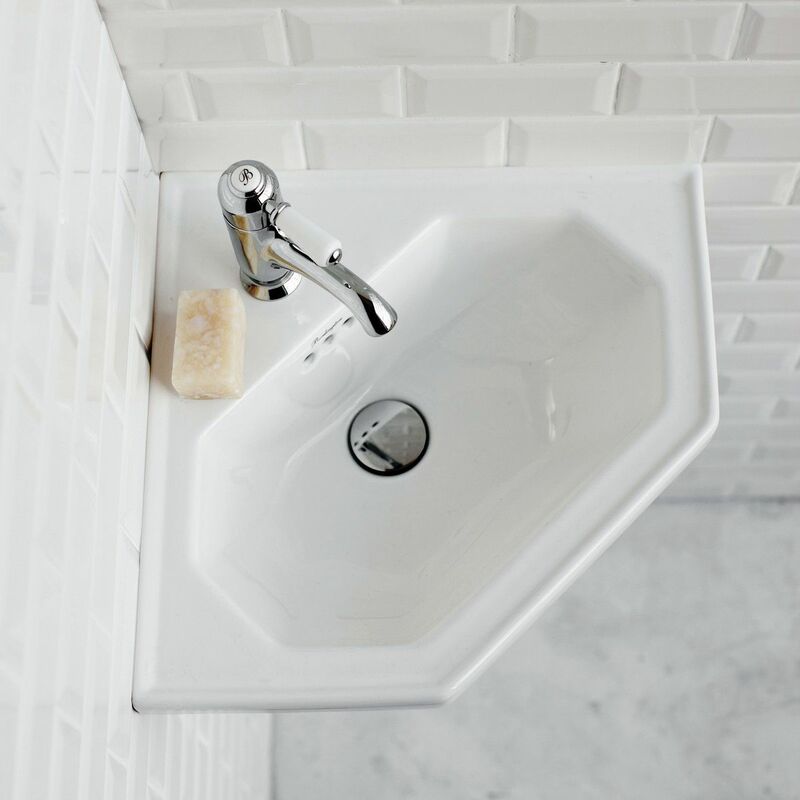 Supplied with a single tap hole, you can accessorise your basin with exquisitely crafted taps from the Anglesey, Birkenhead and Claremont ranges. 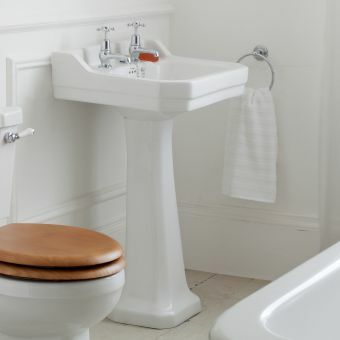 Burlington Bathrooms are dedicated to producing high quality products with innovative technologies, though are keen to maintain authenticity across their ranges. 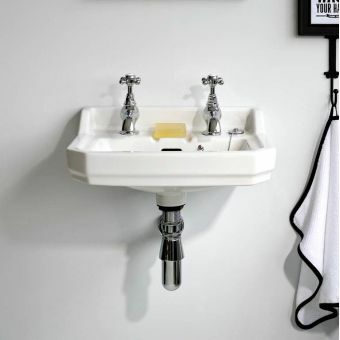 Perfect size for a cloak-room.